Martin Luther and other reformers viewed Pauline justification as primarily, if not exclusively, a forensic matter between us and God. We are justified before God, through faith in Jesus Christ, according to his finished work on the cross. If one believes the gospel message, then one is justified before God. Reconciliation (with God and with other humans) is a necessary implication of justification but is not part of justification as such. New perspectives on Paul have challenged this account of justification (both historically and exegetically). Rather than being merely a forensic matter focused on human salvation and its relationship to divine satisfaction, this approach suggests that Pauline justification is essentially about human liberation and the reconciliation of people one with another. Rather than being merely a forensic matter focused on human salvation and its relationship to divine satisfaction, this approach suggests that Pauline justification is essentially about human liberation and the reconciliation of people one with another. Douglas Campbell is Professor of New Testament at Duke Divinity School. Campbell’s main research interests comprise the life and thought (i.e. theology and its development) of Paul with particular reference to soteriological models rooted. 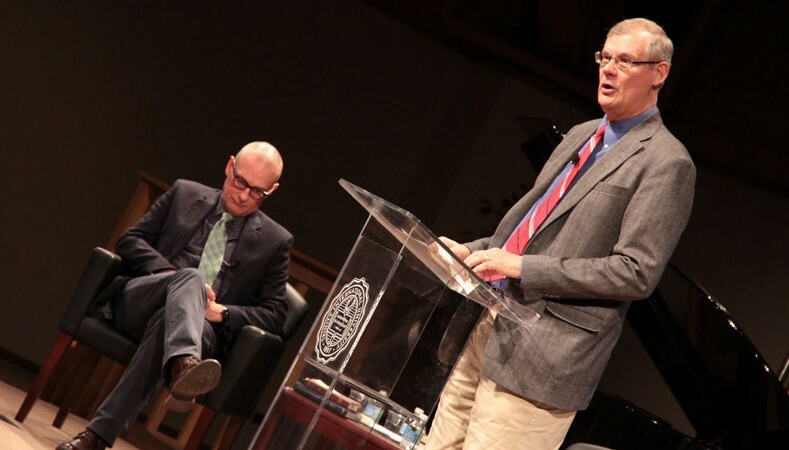 Douglas Moo (PhD, St. Andrews) is the Kenneth T. Wessner Professor of New Testament at Wheaton College, where he has been since 2000. Moo’s academic interests revolve around the interface of exegesis and theology. He has published commentaries on Romans and Galatians, and he is currently working on a Pauline theology.